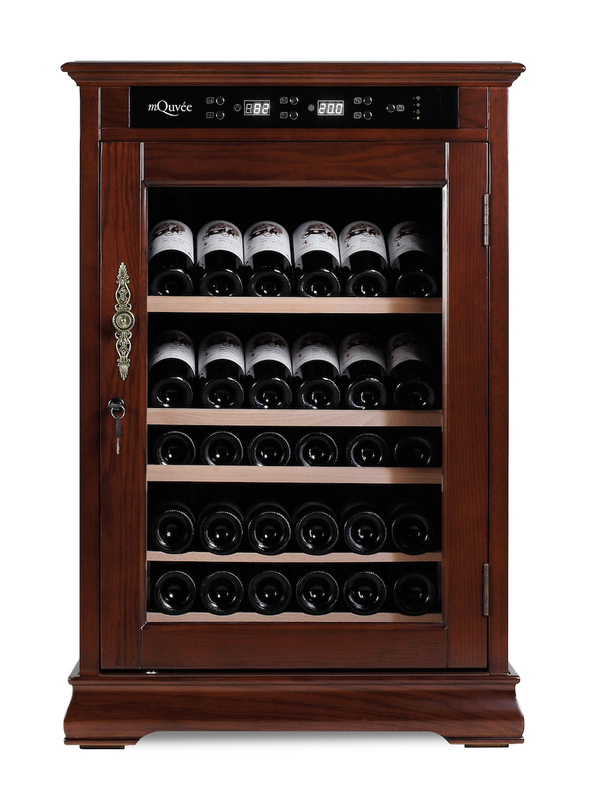 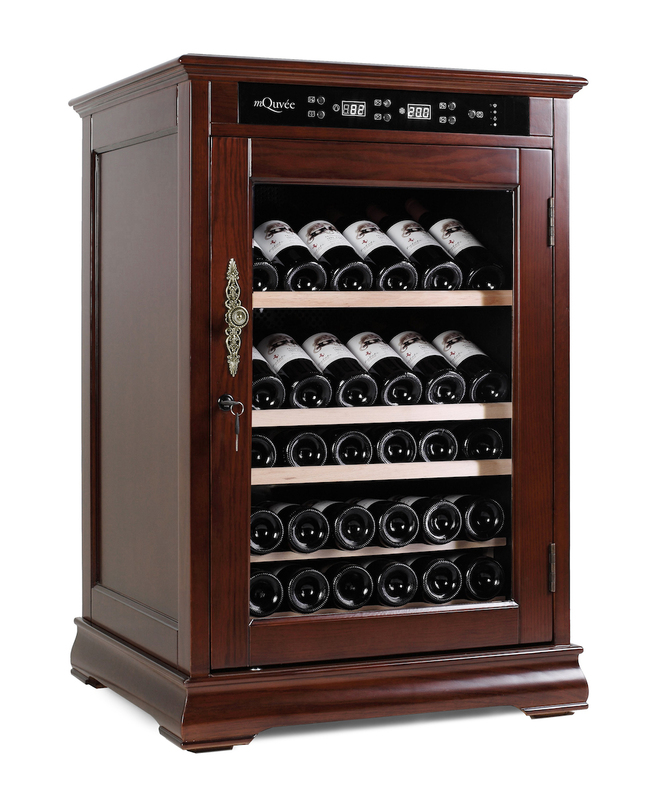 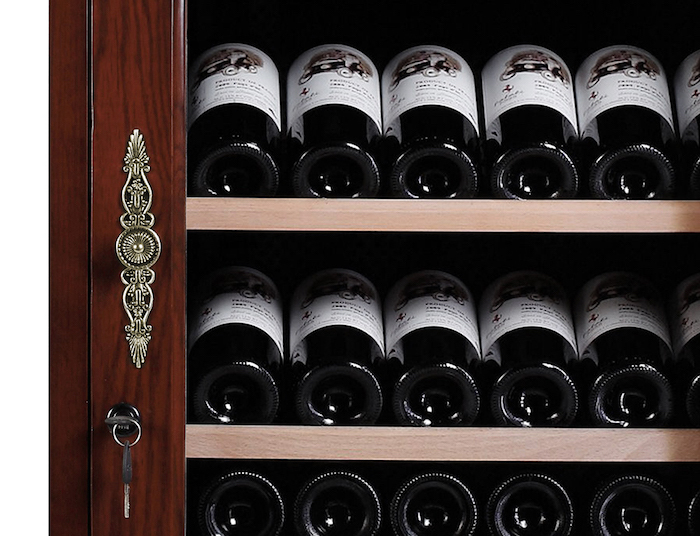 First-class wine cabinet from mQuvée in solid wood (American oak) with a maroon tint. 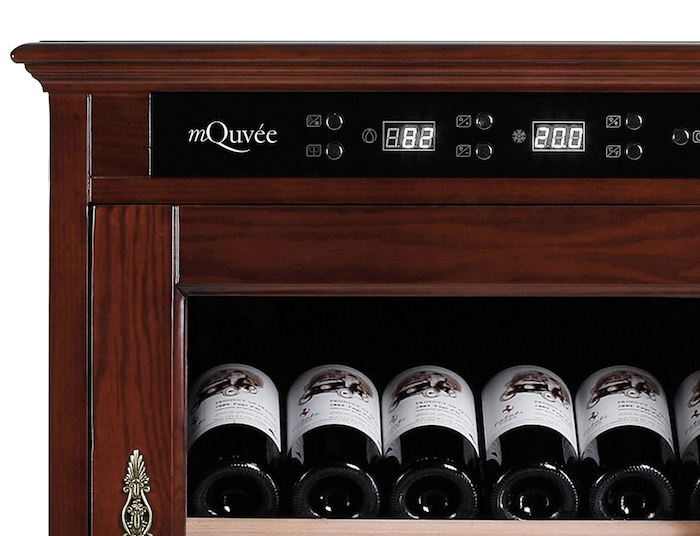 You can display 66 wine bottles on the 4 genuine wood shelves. 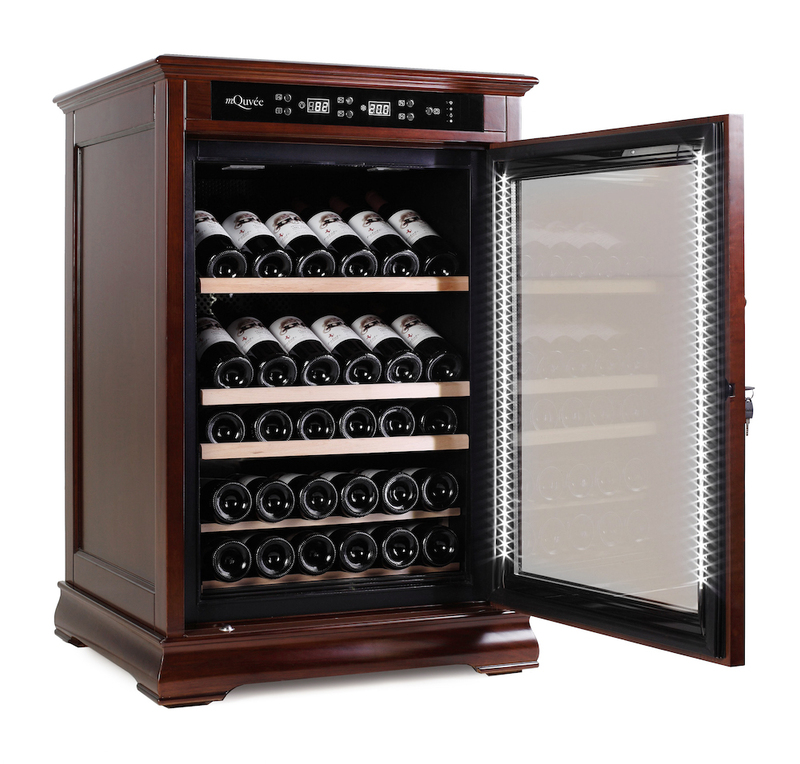 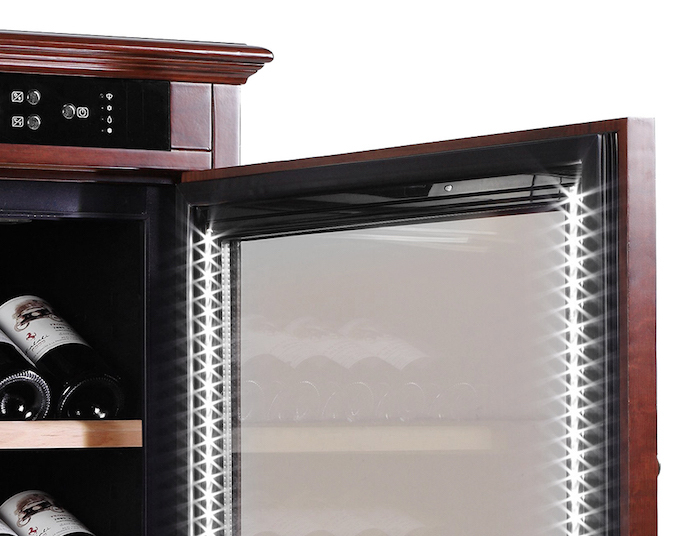 The wine cabinet offers adjustable humidity, temperature and a vibration-free compressor, providing your wines with a calm and secure environment!